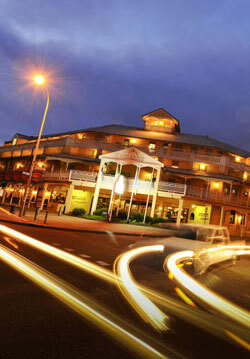 Esplanade Hotel Fremantle by Rydges is set within the heart of Fremantle, on Australia's sun-soaked west coast. Fremantle is located at the mouth of the Swan River, about 20km west of the State capital Perth. Prior to settlement by Europeans this area was called Manjah or Munjah, which in local language means a festival/fairground place, as the Noongar people would gather here for trade and ceremony etc. The mouth of the Swan is called Derbal Yerrigan by the Noongar people (Derbal meaning brackish and Yerrigan meaning turtle) and is part of an ancient Dreaming trail. In the Noongar belief system a great spirit serpent formed pathways that are called dreaming trails. A trail comes down the coast from the North and also up the coast from the south and there is one on each side of the river. This area at the mouth of the Swan River was colonised by Europeans in 1829, making this fishing boat harbour and commercial port city one of the oldest towns in the Western Australia. Fremantle is now a multicultural city as a result of the many immigrant groups that have arrived since settlement, with the southern European influence particularly noticeable. Renowned as Western Australia's premier tourist destination, Fremantle is rich in history, culture and tradition and an ideal conference location. Fremantle is located only 20 minutes from Perth City and 30 minutes from the airport. 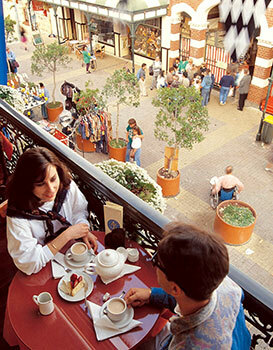 Fremantle is recognised as the best preserved 19th Century seaport in the world. Fremantle was established in 1829 as a port for the fledgling Swan River Colony and was the major city in Western Australia for much of its early history. Fremantle became a city in its own right by 1929, and survived the building demolitions of the 1890s and the 1960s. The city emerged in 1987 when it was the host city for the Americas Cup sailing challenge, as a city rich in heritage and character. "Freo" as it is also know to the locals, is home to a 500-strong fishing fleet and a vast number of yachts and pleasure craft. Two significant historical replica ships were built here: The HMS Endeavour and the Duyfken which was the first Dutch vessel to chart the Australian coastline in 1666. 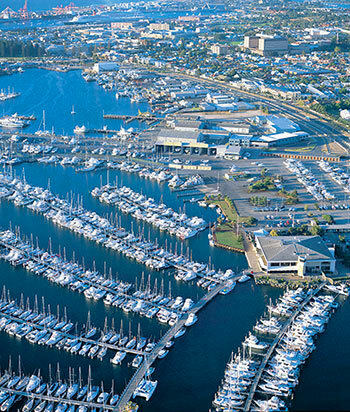 The port city of Fremantle is located at the mouth of the Swan River on the West Coast of Western Australia and is part of the Perth metropolitan area. Fremantle has an eclectic mix of people, food and heritage. Just south of Fremantle, the Rockingham coastline affords visitors an opportunity to encounter with wild dolphins. Nearby Carnac Island is home to a colony of sea lions, and offers a magical day trip spent exploring, snorkelling and sailing, whilst Rottnest Island boasts some of the world's finest beaches. There are also plenty of exciting activities you can do around Fremantle. You can enjoy exciting Jet Boat rides or a pleasant even sail on the Leeuwin tall ship. Other outdoor activities include parasailing, surfing lessons, kite surfing and Scooter Hire. Featuring the largest collection of heritage listed buildings in Western Australia, Fremantle is an architectural time capsule, but more than that it provides a unique opportunity for visitors to experience and enjoy a range of cultural activities in a relaxed atmosphere. Why not 'Step inside and do time' at Fremantle Prison, and experience the Prison tunnels or explore the vast riches of Western Australia 's maritime history. Take time to appreciate the artisitic and indigenous side of Fremantle in the local art galleries and museums, or hop on the Fremantle Tram for a guided tour of the cities best attractions. A browse through the markets or leisurely stop at one of the numerous cafes andrestaurants will complement your exploration of the arts, making avisit to Fremantle a rich and rewarding experience. Spend a day in the sun dining at Fishing Boat Harbour or sample some of Fremantle`s famous "boutique" beers on offer from one of our local microbreweries. Swan Valley's gold medal winning daily ‘indulgence' tours showcase a variety of wines & wineries, beers, chocolate, cheese, nougat and sumptuous food that are Perth's Valley of Taste.